I work in a room officially designated as the Room of Shame. It is not a room of shame in a dark, Fifty Shades of Gray way. No. That would be interesting, which this particular Room of Shame is not. This room is a boring office that could be owned by hoarders. I’ve mentioned before that it’s haunted by the Ghost of my Feline (Past): Yum Yum (the demon-possessed cat). My little companion died died in 2009, and I’ve never had the heart to replace her. Despite my oft-repeated intention to clean this toxic waste dump out, her ghost still manifests in the fur that still lurks behind the sagging bookshelves and boxes of papers dating back to the Bronze Age. Plastic bins filled with my books, ready to take to a show or signing, are stacked atop dusty crates still bearing her furry imprint. The disgraceful carpet is proof that to clean the floor, one must be able to find it. Somehow, despite the embarrassing chaos, I do manage to crank out the work. Last month I finished the second draft of Billy Ninefingers. He has been through the beta reading process and is currently fermenting in a dark place while I wind up some other projects. I received excellent feedback and have a firm idea as to how I will structure the final draft. I am making headway on the first draft of Eternity’s Gate, a new novel in the Tower of Bones series. This is the ‘how it began’ story, and it features Aelfrid Firesword, Edwin’s many time’s great-grandfather, and the unintentional founder of the College of Warcraft and Magic. Even though it is set in an established world (Neveyah), planning this novel presented an unusual problem in that the magic system had to be redesigned as much of what is canon in the later books doesn’t exist during the time this story is set. New maps have been drawn. Alf is a Barbarian, so I have learned a great deal about his culture in the process of creating this early, far wilder version of world of Neveyah. 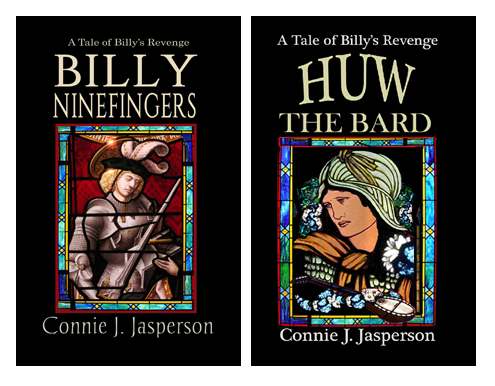 Knight’s Redemption, a novella featuring Julian Lackland, Golden Beau Baker, and Huw the Bard, is in the final stage of the revision process. As always, I am working on flash-fiction and poems as the mood strikes, some weeks more than others. Flash-fiction usually happens when I’m at a stopping point on my other projects and my mind just wants to roam free. This is always a good time to think about possible blog posts. And finally, I’m in the process of rewriting a short story for an editor who likes the overall premise, the protagonist, and the way the story ends, but wants me to make some fundamental changes to the way I am telling the tale. In my opinion, any interest from an editor should be celebrated, and their requests and suggestions should be given my full, immediate attention, so that will be an ongoing project over the next few weeks. Not being rejected out-of-hand is good, in my opinion. I see this type of interaction as an encouraging thing. The door is open to an opportunity I might not have again, so I try to make whatever changes they request. The trick is to make the changes with your own flair so that you don’t lose what they liked about the piece in the first place. Either way, whether they ultimately reject it or not, I will gain something out of this. Also, I have been cooking. I’ve found some more wonderful food ideas to take along when I am on the road. Traveling as a vegan can be quite dicey, unless you carry your own food. Once I leave the Northwest, restaurants don’t offer vegan options. Rather than go hungry, I make my meals ahead. I’m always looking for tasty treats that travel well, and are satisfying. Today is a good day to write. I intend to make the most of it, working on whichever project is inspiring me. Having more than one project going at a time allows me to stay productive because when I can’t think what to do next in one manuscript, I’ll know exactly what I need to do in another. In an opaque numeral haze. I wish I could hug you, Stephen. Were you referring to the Crossing Aurora story? Yes. I need to narrow the POV. I think that’s probably how this song will go, too!